// Better than Twitch? Check it out..
DLive.tv is the largest live streaming community on blockchain that powered by Lino blockchain. Share amazing streams and earn massive rewards on DLive . // For the new and returning, please join this Official Skyrie Group for updates and other info. See forums for details on different topics that might be of interest. 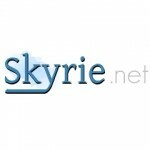 Welcome minna and welcome back to old Skyrie Citizens! It goes without saying, to catch up you might have to do some reading and to participate, same thing, along with respect for each groups description and please don’t jump into other people’s rps without permission. Otherwise, please enjoy yourselves! // sent you an inbox message, please note and respond.